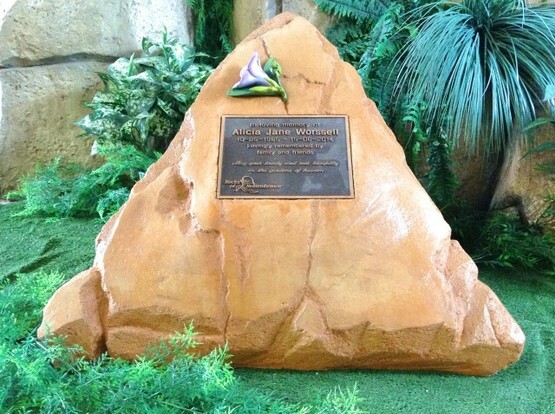 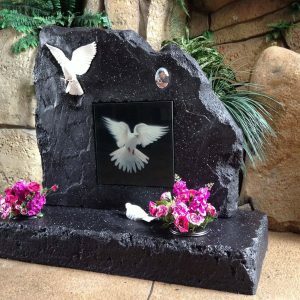 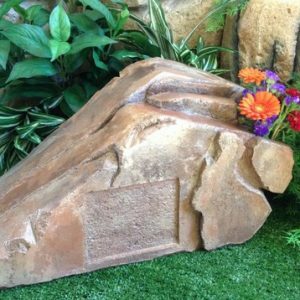 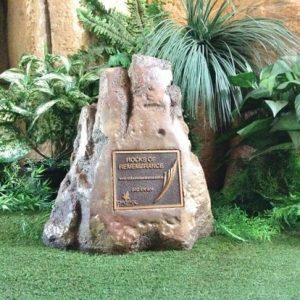 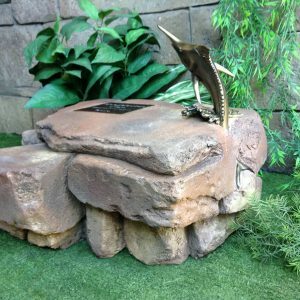 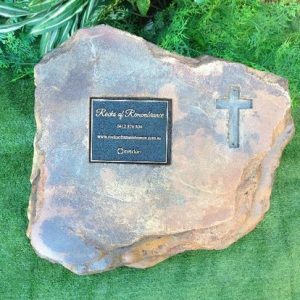 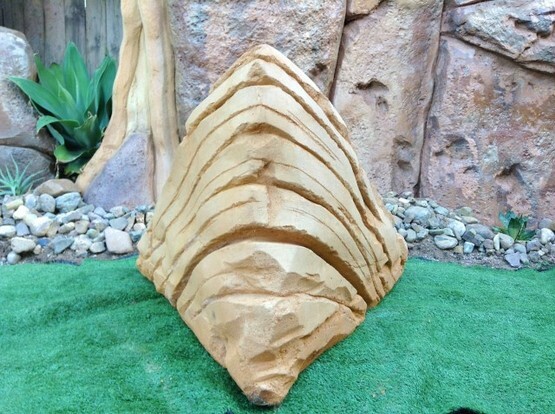 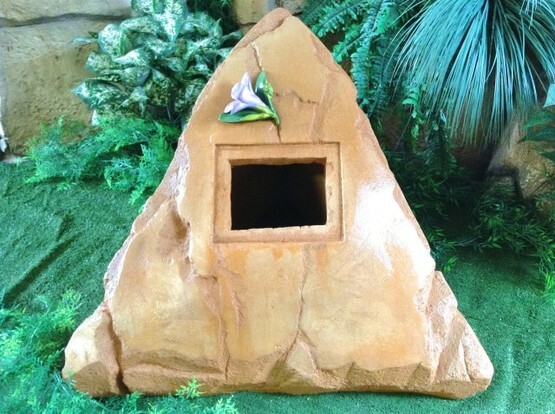 Our pyramid shaped rock would be suitable for families as it holds up to 4 cremation ash boxes. 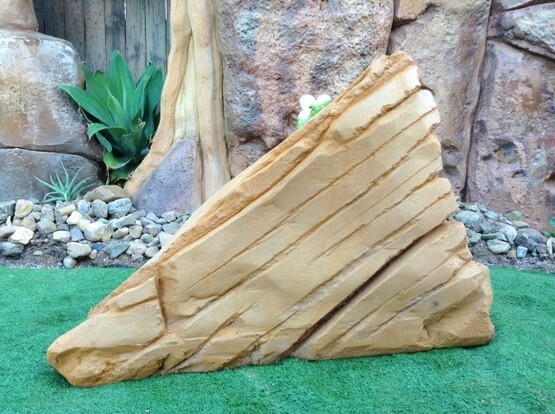 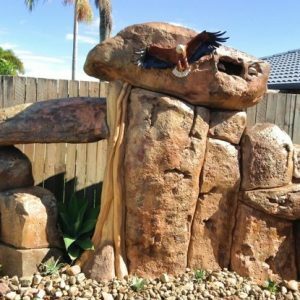 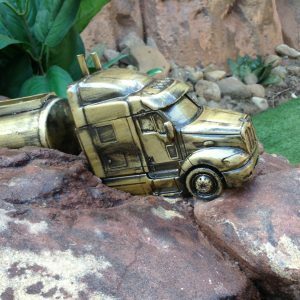 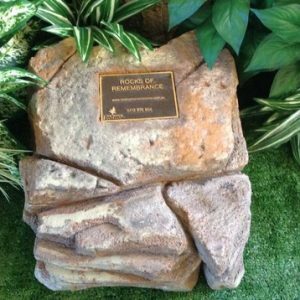 It is hand sculpt with attention to detail & finished off in one of our sandstone colours. 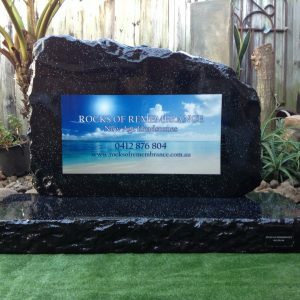 This particular one features one of our handmade alamanda sculptures which are an optional extra.